WingHouse Bar & Grill® first opened its doors over 25 years ago in Largo, Florida, where the concept to blend the spirit and camaraderie of sports with the casual atmosphere of a full-service restaurant was brought to life by NFL alum, Crawford Ker. Today, WingHouse has grown to 24 locations that span across the state of Florida and entertains a loyal fan-base which embodies that spirit. Our restaurants are known for their fan-friendly atmosphere where people go to watch the big game, socialize with friends – AND the World Famous WingHouse Girls who serve them. With un-matched levels of attentive hospitality and contagious energy, they are more than servers, the WingHouse Girls are an extension of the party and our biggest brand ambassadors. With wall-to-wall high-def TVs, year-round sports coverage, and over-sized entrees, WingHouse is a bar and grill that’s more like a destination getaway. It’s a place where sports fans can chat, chow, cheer and more importantly, kick-back and just relax. WingHouse is all about quality food, over-sized portions and menu offerings that can satisfy even the biggest of appetites. With nearly 20 different sauces and rubs and new bold flavors introduced seasonally, our award-winning chicken wings can be sauced any way you like. Come in and try the newest menu addition: our Korean BBQ wings smothered in sweet soy sauce with a ginger kick. Or enjoy our Dallas wing flavor, a traditional fan-favorite that boasts the mouth-watering combination of sweet brown sugar and honey BBQ. While we may not agree, we understand not everyone can live off a diet solely of chicken wings and beer. Not to worry – from our spinach salad and grouper tacos to a half rack of Smithfield® fall-off-the bone, baby back ribs – our revamped menu has got you covered. 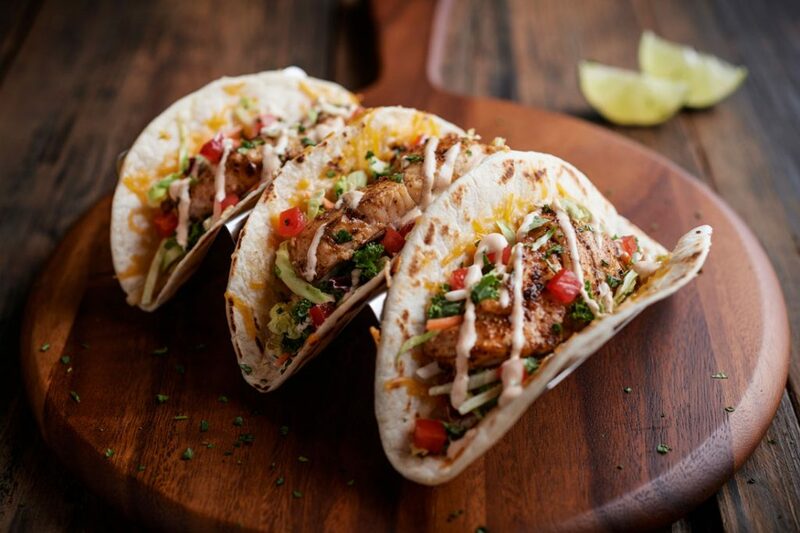 WingHouse’s newly elevated menu offers over a dozen appetizers, salads, burgers, sandwiches & wraps, tacos, seafood options, desserts, and other American-classics. 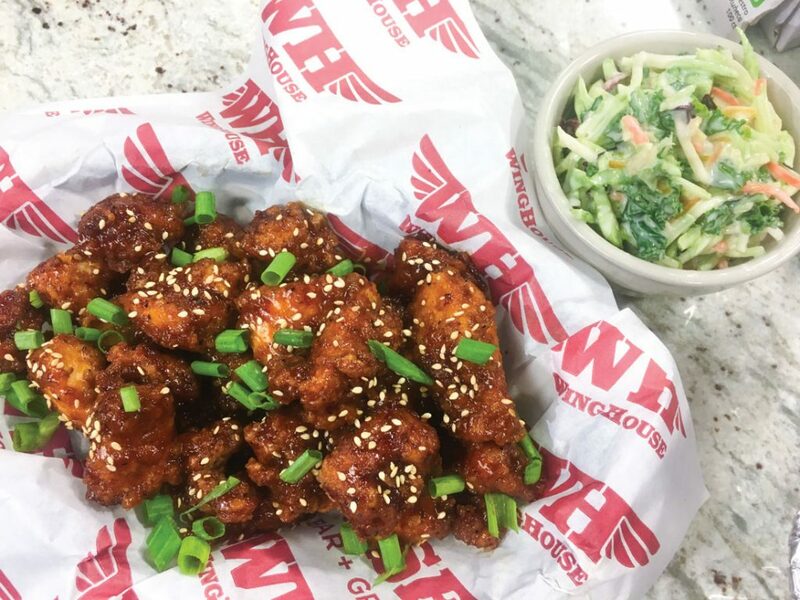 We change up our food and beverage offerings three times per year with Limited Time Offer menus that let our customers experience WingHouse outside the box. All WingHouse restaurants are open for lunch, dinner and feature weekday happy hours to take advantage of our full-service bars with a large variety of liquor cocktails and major domestic, imported and specialty craft beers.